Jennifer Barber’s collections of poetry are Given Away (2012) and Rigging the Wind (2003), both from Kore Press. 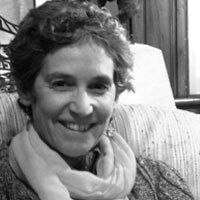 Her poems have appeared in the New Yorker, Poetry, the Missouri Review, Orion, the Gettysburg Review, Upstreet, Post Road, Solstice, and elsewhere. She has recently translated into English Ici en exil, a book by French poet Emmanuel Merle. She teaches at Suffolk University in Boston, where she edits the literary journal Salamander, which she founded in 1992. Jennifer is the winner in 2015 of the second annual Tenth Gate Prize for her manuscript Works on Paper.